1 - Ichiro, Seattle Mariners. 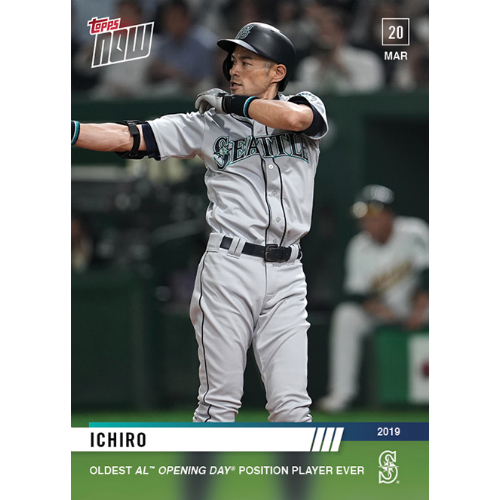 With his inclusion on the 2019 roster for Seattle, Ichiro became the oldest American League position player to start on opening day. 2 - Stephen Piscotty, Oakland Athletics. 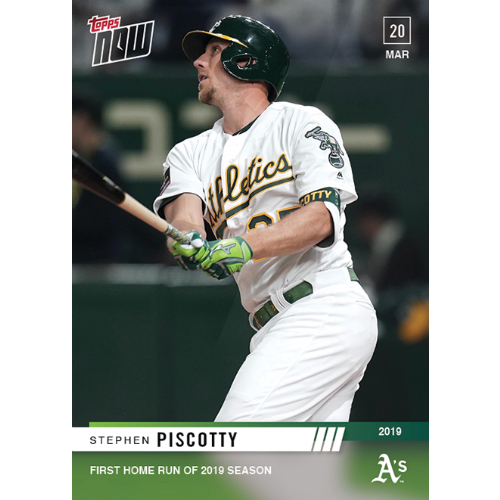 One of the many amazing stories from the 2018 team, Piscotty continues to endear himself to fans with the first home run of the season. 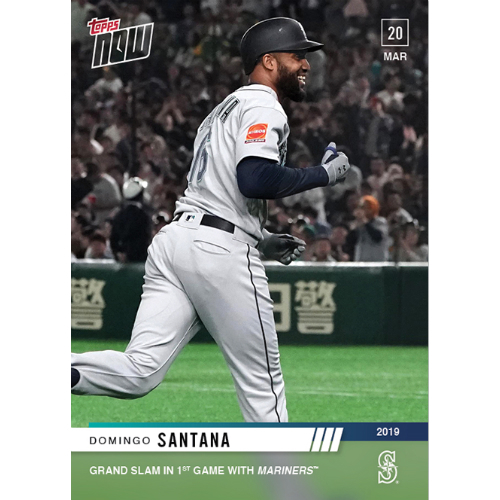 3 - Domingo Santana, Seattle Mariners. Piscotty's home run was quickly overshadowed by Santana's grand slam in the third inning off of Mike Fiers. 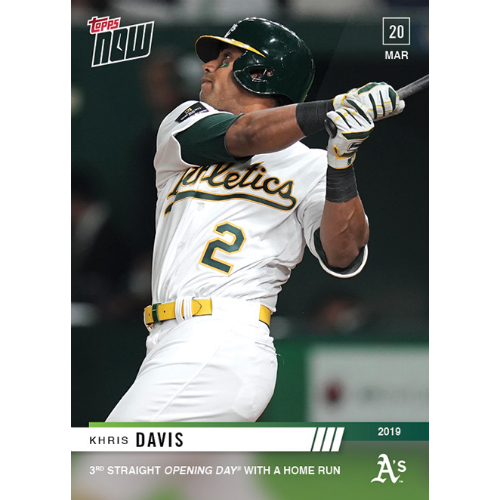 4 - Khris Davis, Oakland Athletics. 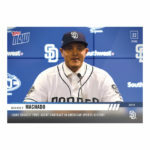 Last year's home run leader picked up right where he left off and hit his third consecutive opening day home run. 5 - Major League Baseball. 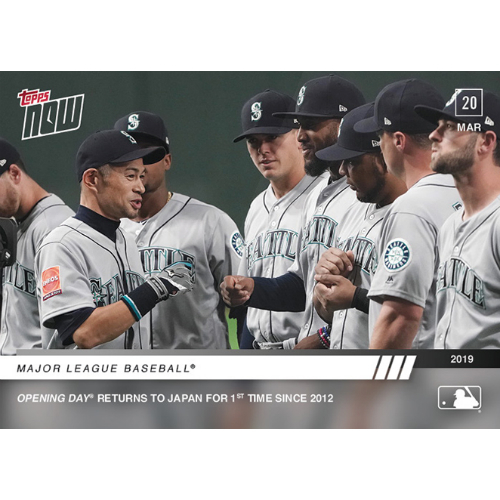 This opening series in Japan marks the first since the A's and Mariners battled it out in 2012. That game was also a Seattle victory (3-1, 11 innings) and the A's would go on to take the division on game 162 with 94 wins. Seattle finished that season in last place with 75 wins. Each of these cards is available for 24 hours and printed based on demand.